If you’re a journalist please get in touch if you would like to re-use any of our material. All we ask is prior contact and full attribution with a link. Likewise if you’re from another pro-Brexit organisation. Yesterday while the 28 leaders of the EU Council talked late into the night, one EU Commissioner was more concerned about whether he had packed enough socks for an international trip. This is just one story of what the EU does. Not what makes the headlines. Not what Remainer MPs in the UK Parliament think it does. But what the EU actually does. This is a story about your EU and your money. It covers many aspects of the whole EU debate. Settle back with a coffee and please allow us to take you on a short journey. Like Mrs May, EU Commission President Jean-Claude Juncker has a ‘cabinet’. In his case, the cabinet is called a ‘college’ and is composed of 28 Commissioners. Commissioners are appointed, not elected. It’s the President – currently Juncker – who appoints them. This is how we end up with a Trade Commissioner called Cecilia Malmstrom who has precisely no previous experience of trade. These Commissioners are effectively what would be called ‘officials’ in the UK – civil servants. The difference in the EU’s case is that Commissioners wield immense power, control truly massive budgets, are feted wherever they go, and travel by limousine and sometimes private jets. Think Olly Robbins on steroids, but with a much bigger expense account. WHO IS OUR HERO IN THIS STORY? The EU Commissioner featuring in this tale is Mr Neven Mimica. You may not have heard of him. He’s a Croat, appointed after Croatia became the 28th member state of the EU in 2013. Apart from a brief stint after school, he has worked in politics all his adult life. SO WHAT’S ALL THIS ABOUT MAURITANIA? Mauritania sounds like a fictional country from a James Bond movie but in fact it exists. It’s full title is ‘The Islamic Republic of Mauritania’ or in EU-speak ‘La République Islamique de Mauritanie’. That’s ‘al-Jumhūrīyah al-Islāmīyah al-Mūrītānīyah’ in the country’s official language of arabic. The country is essentially Saharan. Not even sub-saharan – Mauritania is the full Monty, in the Mahgreb. As with so many places in Africa where the EU is spending taxpayers’ money, Mauritania is a former French colony. Regular readers will know that former French colonies seem to crop up a great deal whenever one looks at the EU’s foreign adventures. Take the EU’s military campaigns overseas. They are being fought in countries few British people could point to on a map, such as Mali, but they make the headlines in France. Or look at the EU’s extra member states which are never mentioned in the British press, and which are known as the ‘Outermost Regions’. Six out of the nine were or are French. The significance of this is of course money. Whilst the UK generally looks after its former colonies without involving the EU, the French persuade the EU to take on the responsibility – and the cost. For example the EU bill for the Outermost Regions for 2014-2020 is €13.3 billion. Today’s events take place in Nouakchott, which as our well-informed readers will know is the capital of Mauritania. EU Commissioner Mimica has travelled there because that is where the 31st congress of the African Union is taking place, and his main role is co-presenting a conference entitled “Women in Power”. No, we’re none the wiser either. It is virtually never mentioned in the British media – and certainly not by the BBC – but the EU has an ‘off-the-books’ €30.5 billion ‘European Development Fund’ (EDF), which we have reported on many times. This is in addition to the official EU budget to which the UK contributes each year. The UK taxpayer is contributing around €4 billion extra to the EDF fund for 2014-2020. Yesterday it was announced by the EU Commission that Commissioner Mimica will travel to Mauritania today armed with his EU chequebook. In this particular case the sum involved is not vast. 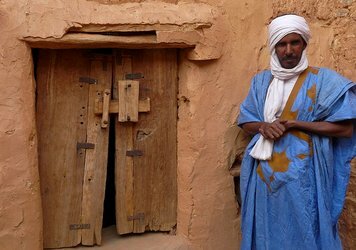 He will give €47.6 million to Mauritania, for two EU ‘programmes’. It is worth pointing out that in an impoverished country like Mauritania, €47.6 million is a very large amount of money. At a very conservative estimate this would be the equivalent of at least £500 million in the UK. And this is just for two out of many EU programmes there. ER… ‘WOMEN IN POWER’? IN THE ISLAMIC REPUBLIC OF MAURITANIA? Finally, and we hesitate to mention this, we feel a sense of irony coming on. 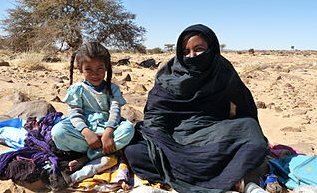 The list of human rights violations in Mauritania would keep a phalanx of British luvvie-lawyers busy for generations. Female genital mutilation, child labour, human trafficking, political imprisonment, and modern-day slavery are rife. In fact slavery was only officially abolished in 2007, although it is still widespread. And if you’re gay, it’s the death penalty for you. 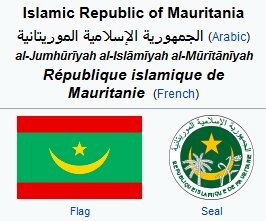 ‘La République Islamique de Mauritanie’ is a 99.9% Islamic nation. Sharia is the law of the land. Apostasy is punishable by death. Women have no rights except as provided under sharia law. This is the country being visited today by an EU Commissioner and his EU chequebook, to give a talk on ‘women in power’. We seriously, seriously, couldn’t make this up. In a week’s time readers will be waking up to the news of the outcome of Theresa May’s ‘away-day’ for her cabinet, to discuss the country’s policy on Brexit. The cabinet voted by 72% to 28% for Remain. This will be a serious moment for the country, because all indications currently are that Mrs May and her cabinet simply don’t ‘get it’. They do not seem to understand that they are more out of touch with the people of the UK than they ever have been. We strongly urge all members of the cabinet to read the article above. It is one of hundreds we have researched and written about the EU. The facts it contains are incontrovertible and come from official sources. This is just one tiny example of what we see daily. This isn't a trading bloc. It's not even about protecting citizens and workers' rights, or the rights of peoples in other countries. This is a vastly-expensive, out-of-control mess. We suggest to Remain-supporting ministers that they are on the wrong side of history. It’s not too late to change, but change they must. If they leave Chequers with what looks like a ‘soft Remain’, the people will not stand for it. We urge all cabinet ministers to spend an hour on our site, taking in the variety of facts. The EU simply isn’t what they think it is. It doesn’t remotely represent the interests of our great nation. The people know this intuitively. Now it’s time for Remain-supporting cabinet ministers – and all MPs – to educate themselves properly. This is not a decision they should get wrong. Message: The Islamic Republic of Mauritania how long before they are invited to join the EU? Why are UK taxes being spent here? What has this country got to offer the EU? By all means you could spend aid money on specific infrastructure projects to make life more bearable, like clean water or irrigation for crops. But please these countries are light years away from "women in power" conferences. I know in Luvvie lefty land all people are equal and women should be empowered but this country, its laws and customs are a thousand years away from compatibility with EU values. Doubtless my views will be dismissed as racist bigotry but why should the EU try to impose 21st century western values on Saharan Africa? But an important article like the one above takes many hours for many people. And it's because we take time on research that MPs and other influencers take our work seriously. We rely on individuals like you - not foreign billionaires - to keep us going. Whilst the media’s attention will be on the agonising-long conclusions of the EU Council regarding the EU’s migrant crisis in its attempt to help Angela Merkel hold onto power, other agreements were reached yesterday and this morning. The ‘Facility for Refugees in Turkey’ is an off-budget, ‘off-the-books’ EU fund devised by Angela Merkel in late 2015 to encourage President Erdogan of Turkey to stem the flow of migrants flooding into the EU as a result of her ‘all welcome here’ policy. This specifically relates to a Schengen problem – and the UK is not part of Schengen. Nevertheless the UK agreed in 2016 to pay 16.5% of the €3 billion fund. Yesterday the EU Council formally considered a second tranche of €3 billion, and approved it. That makes a total of €6 billion. €2 billion of this comes from the EU budget into which the UK makes its annual contributions. The remaining €4 billion is in effect voluntary. It is not in the EU Treaties and it is supposed to come from additional individual member state contributions. David Cameron agreed the first half of this in 2016. Mrs May has now agreed the second half of it. The additional voluntary contributions from the UK will be circa €330 million euros. Almost two-thirds of a billion euros in total, for this one fund. And we haven't even mentioned the other off-the-books fund in the EU Council's conclusions today: the EU Trust Fund for Africa. Mrs May still appears to believe that if she is nice to Angela Merkel and Emmanuel Macron, they will respond in kind. They won’t. That’s not how the EU works. We would like to know why Theresa May agreed to this additional payment to the EU when it is for a fund devised to sort out Chancellor Merkel’s problems. We would also like to know if this payment has been made conditional on a Brexit deal. If not, why not? Finally, can we ask our readers to let us know if they see this story in any other media outlet? We simply do not understand why we are the only team reporting on things like this. Message: The EU are desperate for a No deal. The UK should not fear such a deal this "close and special relationship with the EU" is just rhetoric. We will prosper from such a NO deal. We don't need the European Arrest Warrant or any intelligence from the EU. 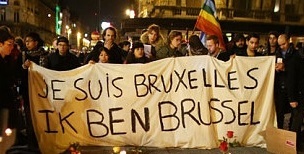 Remember the Bataclan attack in Paris, the Belgian security services knew that some sort of an attack was being planned but didn't tell the French 20 miles down the road! We have GCHQ and the 5 Eyes intelligence gathering, we are more than able to look after ourselves. As for the Galileo project, as a third country we can't participate but as a third country we can supply troops to protect the EU. Forget it! Let the EU go their own way, 25 per cent corporation tax, Tobin tax on financial services, the UK can just sit on the sidelines whilst business looking for low tax business environment beats a path to the UK door. Message: Just as I predicted many months ago, Gibraltar has now been raised as part of the deal. [See today's Daily Express online.] They want Spanish police stationed on the island, which of course is tantamount to handing over sovereignty. May will agree to this of course - an act of high treason. The only glimmer of hope is that Boris is on the verge of resigning. Message: When, oh when, is ANY MP, but particularly Brexiteers, going to question ANY of these 'hidden' sums being paid to the EU in the House in our name? These should be regular challenges in the House for justification - massive 'off-the-books' payments to the EU. Only our 'official' contributions are deemed to be covered by the 1972 Act. These are not & they are not insignificant sums either. 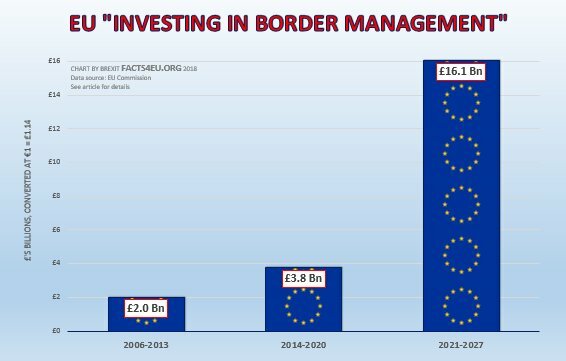 Why did Cameron, and now May, agree to pay approx 16% for a Schengen only issue? We're not in Schengen and, please note Mrs May, not only will we not be in Schengen but we won't even be in the EU - or is there something that you want to tell us? €330m? Just explain WHY? It stinks of corruption. 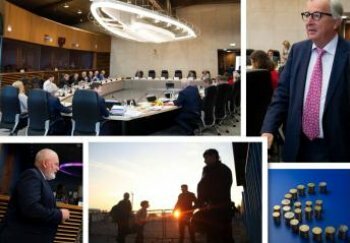 The EU is so unified it has taken until 04.36am local time for the leaders of the 28 member states to reach what appears to be an incomplete and fudged statement in relation to its migrant crisis. Part of the agreement now appears to be the inclusion of migrant camps being based outside the EU. We will report further when details become clear. At the time of writing it’s 03.45 (am) in Brussels and the EU28 leaders are still hard at it, trying to come up with a fudged draft statement on migration to which everyone can sign up. Our best guess currently is that Hungary’s Viktor Orban will veto it, based on his overt stance going into the summit. This is a rare card to play, but Mr Orban seems in the mood to take a stand. Yesterday the Hungarian government issued an uncompromising statement. On Wednesday we pointed out the glaring inconsistency in the EU’s approach to security and defence cooperation. We showed that Mrs May has offered the UK’s full might, but that the EU is blocking a sensible cooperative agreement on a range of security and defence matters. Clearly someone in Whitehall was listening, because No.10 issued a statement to journalists last night, saying that lives were being put at risk by the EU’s refusal to share security information. If you’re going to insult your powerful neighbour by supporting Belgium in the football, as Mr Varadkar did last night, it’s probably best not to make an error of schoolboy proportions when trying to continue the insult. Oh dear. If you’re going to state a “fact”, Mr Varadkar, best to get it right. Firstly the EU is not a country. Secondly, when referring to 27 states remember to quote the population for those 27, not 28. The population of the 27 is not 500 million, it’s 443 million according to the latest official estimates from Eurostat. We’re sure our Irish readers will not mind us pointing out to Varadkar that if he wants to quote a “basic fact” as he puts it, the UK’s population is 64.9 million (not the 60 million he quoted) and Ireland’s is just 4.6 million. 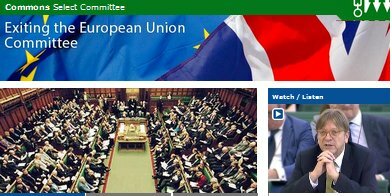 Yesterday the House of Commons Exiting the EU Committee issued its sixth ‘report’. In effect, the report is merely a ‘stop Brexit’ report from the pro-EU majority on this committee of MPs chaired by Hilary Benn. Jacob Rees-Mogg, a member of the committee described it as “simply regurgitating the failed arguments of the referendum” and went on to add that “select committee reports are worthless unless unanimous”. Quite right. Meanwhile in the land of milk and honey, the EU Commission announced yesterday that it has allocated the first 15,000 winners of its ‘free holiday travel for 18 year olds’ scheme. Brexit Facts4EU.Org broke the news of the launch of the scheme earlier this month. The Commission reports that more than 100,000 young people applied for the giveaway, which requires them to become ‘ambassadors’ for the EU in return for free travel for a month this summer. In our day, members of the Brexit Facts4EU.Org team had to do unpleasant holiday jobs to earn enough money to fund our travels. These days it seems you simply have to be prepared to sell yourself as a propagandist for a sclerotic, failing, autocratic institution which is well past its sell-by date. But articles like the one above take many hours for many people. And it's because we take time on research that MPs and other influencers take our work seriously. Most EU stories about money involve billions. €2.1 trillion to be exact. That’s nearly as big as the entire economic output of the UK. The EU plans to control €2.1 trillion of EU citizens’ money – giving it massive power over businesses in post-Brexit Britain. For the past three years the EU Commission has been working on a ‘Pan-European Personal Pension Product’ product (PEPP) for EU citizens. This ‘PEPP’ could give the EU more financial muscle than any quasi-government in the world. The key is the size. Currently pension products are regulated by individual member states. Going forward the EU plans to launch an EU-wide pension plan for up to 243 million people aged 25-59 years, with rules imposed on all institutions selling the product. With the UK being the premier financial centre for Europe, this will impact the UK’s dominant financial sector, and will change and direct the decisions of the boardrooms of all major companies in the UK. It will also have serious ramifications for Edinburgh as the key centre of the pensions industry. As with everything the EU does, it wants control over this new pensions scheme. Whilst the scheme will start by being voluntary, the sheer size will make it a product that providers simply have to sell. It’s the EU that will set the rules for the pension funds. Whilst these still have to be formulated, if the Commission follows its usual practices it will stipulate rules in its own interests. Examples could include the determining of which companies the funds can invest in based on climate change policies, adherence to ‘core EU values’, investment within the EU, etc. In practice this will give the EU power over a potential pot of over €2 TRILLION euros. On 15 November 2016, former Chancellor and arch-Europhile George Osborne gave a speech for Black Rock Financial Inc – the biggest investment fund manager in the world. He received £34,000 for a one-hour speech. Subsequently he became an advisor to Blackrock at a reported annual salary of £650,000 for 4 days per month. Blackrock is one of the main firms that successfully lobbied the EU from 2015 to create this pan-EU pension product. The EU Commission says it is concerned at the lack of take-up of individual pensions across the EU. It believes that a product that is portable across EU member states will prove more attractive to citizens. However the EU’s Regulatory Scrutiny Board gave a negative opinion on this last year. “(1) The report does not provide evidence to suggest that the PEPP can significantly mitigate the low take up of personal pension products. It also does not explain how the PEPP will be more attractive than national products." “(2) The main report lacks quantified baseline and impacts. It presents an unnecessarily complex set of objectives and policy options." As with everything the Commission does, it changed a few elements of its impact assessment and subsequently received a ‘positive’ rating for the proposal from the Regulatory Scrutiny Board just two weeks later. With a standard, EU-branded pension product, the EU hopes to have a pot of up to €2.1 trillion euros which pension funds will invest in EU companies. This will give it enormous power, as it will set the overall investment parameters for the pensions providers. With standard pan-EU rules, the objective matches the EU’s desire for a full capital union. The Commission is constantly looking for ways to standardise all aspects of life across the EU. It has already said that it wants member states to offer the same tax treatment to the new PEPP product. This is in keeping with its desire to standardise all corporate and personal tax rates across the EU, in preparation for the EU becoming a single country. We run articles following significant research into official documents. Sometimes the information is buried deep. And sometimes the topics of our pieces don’t immediately grab people. An article about pensions isn’t an easy sell. We can’t illustrate it with a photo of a scantily-clad young woman. Or man, come to that. Nevertheless, we hope we’ve been able to open the door on yet another EU power grab. This new area of EU involvement in the lives of ordinary people would have had a massive impact if the country had voted Remain two years ago. Yet things like this were never mentioned by the Remain campaign. Even though the UK is ostensibly leaving the EU next March, this €2.1 TRILLION EU proposal will nevertheless have an impact on company boardrooms throughout the United Kingdom, as they will find themselves having to adopt corporate policies in keeping with EU objectives if they want pension funds to buy their shares. It will also impact the massive UK financial sector as it attempts to offer its products to a hostile EU in the years and decades to come. And it has the potential to increase the EU’s financial muscle very considerably in the future. Message: I haven't seen anything in the article that even pretends that this PEPP will be for the benefit of the people who pay into it. I don't think I'm wrong but I don't know of any investment plan that had an agenda, other than doing its best for its investors, that was actually successful in the long-term. I have often read of investments that touted their virtuous credentials - e.g. environmental concerns - that used that as an excuse for either charging more in fees or paying less in benefits. Why would a PEPP set up for the benefit of the EU be any different? It might well be then that PEPPs will be much less competitive than products on offer from London, Edinburgh or New York. This is likely to lead to them becoming compulsory sooner rather than later and will become another way in which the EU takes financial advantage of its citizens. Personally I would be interested to find out whether the EU would legally be able to use the PEPPs as their own personal piggy bank if they thought circumstances warranted. After all, the EU hasn't got the ability to borrow money, as the situation is at present, and this could be a very convenient alternative for them. Message: It's very interesting that they are pushing for 'more EU' when they can't even control the thing that will bring them down; the migrant crisis will end the EU sooner or later. Message: How long before this would be compulsory? This along with EU tax system, EU army with EU national service probably. Next we will be issued uniforms. The aims of the EU state control are now laid bare but the mainstream media hide the facts. We need to get remainers to explain why we would want to be part of this destruction of "Nation states". Message: The EU wants to control every aspect of citizens lives from cradle to grave. Ask the people in Cyprus about the haircut they had to take on their bank deposits during the Bank bailouts. At the moment in the UK pension contributions are taken from the salary of workers untaxed these are then invested in funds on behalf the worker and over time the investment grows to provide monies for retirement. These contributions belong to the worker, they are part of their wages, they are part of the contract of employment, you can opt in or out of saving for a pension its called freedom. Why would you want the "State" looking after your money? From the State's point of view great endless supply of money. In the UK most public sector pensions are paid out of current taxes, hence the black hole in public finance estimated at £5 trillion which is rarely mentioned because that problem will only arrive when pensions have to be paid out in 40 years time. Thank God we are leaving the EU and their globalist big business bankers. Perhaps people will finally wake up and see where this EU project is going, enslavement of us all. In our article above we blow the lid off an EU proposal soon to become law which will ultimately affect the British financial industry, as well as the corporate policies of large British companies. We asked Diane James, an independent British MEP known for her interest in financial matters, for her views on our article. “The issue here from my point of view is that this is a financial power grab by the European Union. “Its impact on the UK will be huge. “The management of this will be sited either in Paris or Frankfurt, both of them way down the global rankings in terms of the financial markets. However just like organisations such as the European Medicines Agency, it will have to be sited in a member state and their favourites will be Paris or Frankfurt, enabling them to try to undermine London even more. WHY IS THE LARGEST INVESTMENT FUND MANAGER IN THE WORLD INVOLVED? “Then look at the firm that proposed this to the EU in the first place. This is Blackrock. This is a US hedge fund. Why are the EU using a US hedge fund when the EU is dead against Trump? Then look at the founder of Blackrock who happens to be a big Democrat Party donor. A really big issue there as far as I’m concerned is that this is yet again US politicians interfering in the whole Brexit deal, and trying to cultivate the European Union’s support. “Back in 2015 just after I was elected for my current mandate, a series of ten key objectives were launched by President Juncker. This does NOT feature. “So here we have yet again a very neat power grab. Macron must be delighted with this because of course he really does want the financial autonomy and management of the Eurozone and the European Union taken away from the member states. “So where has this come from? Of course all this is happening whilst everybody’s attention is on Brexit and on the migrant crises and of course it’s just standard European Union tactics. Whilst the attention is elsewhere, they go in and they grab something and gain ownership over it very quickly. They get it moving and then the member states suddenly wake up and start crying: ‘What’s happening?’ By which time it’s far too late. “The way the EU will work is that they’ll try to get it across everybody, try to get a uniform rate, try to get a uniform return, try to get a uniform pensionable age, all this sort of thing. There are people like me and I would hope other individuals who voted leave, who are going to wake up to this and say ‘not on my watch’. IS THIS BEING TALKED ABOUT IN BRUSSELS? “In the EU Parliament we’ve heard absolutely nothing. It has been non-existent. I’m not aware that it has received any kind of high profile coverage in terms of the Budget Committee agenda and we are just about in the either next week or in September to sign off on the EU budget and I don’t recall seeing any information on this at all. Diane James gave a wide-ranging interview to our editor yesterday. Tomorrow we will publish the second part of the interview, which covers Ms James' views on other topics, including her thoughts on her own future when all UK MEPs cease to be employed from March 29 next year. There are a variety of British MEPs in Brussels. Those from the Conservative, Labour and LibDem parties have generally been Europhiles, with the exception of one or two such as David Campbell Bannerman and Daniel Hannan. The other pro-Brexit MEPs are mostly from UKIP, of course, but there also people like Janice Atkinson, now of the ENF group. Diane James is a serious person who became a UKIP MEP and for a short period the leader of UKIP. She now sits as an independent MEP. Readers will have their own views on Ms James and we will just make one generic point. We have very little interest in the phalanx of British MEPs who have supported the EU over British interests for years. No doubt they will all be trying to become MPs as quickly as possible. We wouldn't take any of them. The generic point we wish to make is that pro-Brexit British MEPs who have consistently fought for British interests have a wealth of experience of the EU to bring to the Brexit party. Despite this, Theresa May seems determined not to benefit from any of their expertise. To us it seems bizarre not to use the experience and skills of MEPs who understand the mentality of Brussels apparatchiks and EU27 MEPs. We 'get' the Brussels mentality. So do people like Ms James. It is our experience to date that the British government does not. We will return to this subject soon. 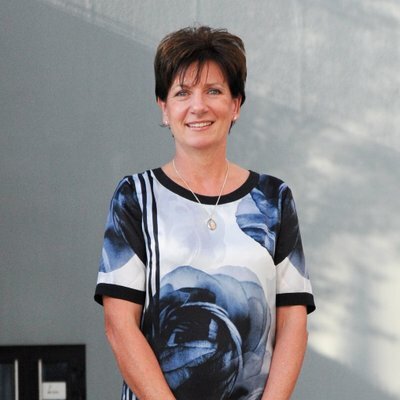 In the meantime, look out for the second part of our interview with independent MEP Diane James tomorrow - exclusive to Brexit Facts4EU.Org. On Monday, the BBC reported on the latest survey from consumer watchdog Which? into food hygiene across the United Kingdom. In the Which? survey, data from 390 local authorities for 2016-17 was used, including information from the Local Authority Monitoring System collected by the Food Standards Agency. LEAVERS ARE MORE HYGIENIC THAN REMAINERS! We looked at the top 10 and bottom 10 local authorities reported by the BBC from the Which? 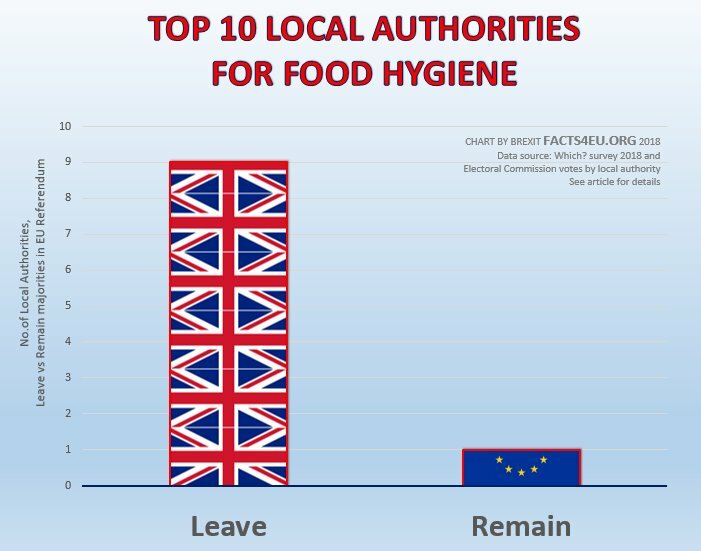 report, to see whether there was any correlation between voting Leave or Remain when it comes to food hygiene. The results from the Electoral Commission were used to make the comparison. The results are astonishing. 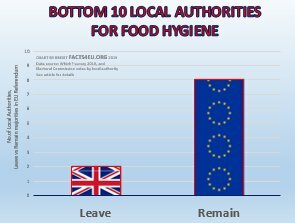 Local authorities with a Leave majority are hugely more likely to have high food hygiene standards than local authorities which voted to Remain in the EU. Note: Before Remoaners start suggesting that the size of the local authorities is different, and if you count by votes cast, the results would be different...? No. Sorry. If you total the votes cast in each local authority, Leave still wins very easily. 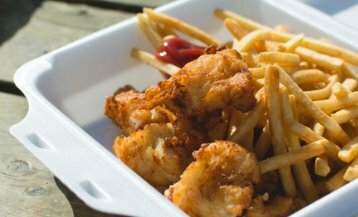 For example, the only local authority in the top 10 for food hygiene is last place Orkney, which is one of the smallest local authorities in the United Kingdom. Over the past three years, Leavers have been – and still are – subjected to sustained abuse by the more fanatical elements of the Remain side. Leavers have been called thick, bigoted, xenophobic, racist, and worse. Older Leave voters have been attacked for destroying the life chances of younger people. Before the Referendum the official Remain campaign even told young supporters to lean on their older relatives, with guilt-inducing messages. And yes, we still have the proof of this. The research above is unlikely to appeal to Remoaners, although we hope that ordinary Remain voters might appreciate the funny side. It seems that if you want hygienic food preparation, you would be better going to an area of the country that voted Leave. This brings a whole new meaning to the term “we want a clean Brexit”. Message: Highly amusing - but correlates with a serious, relevant point. 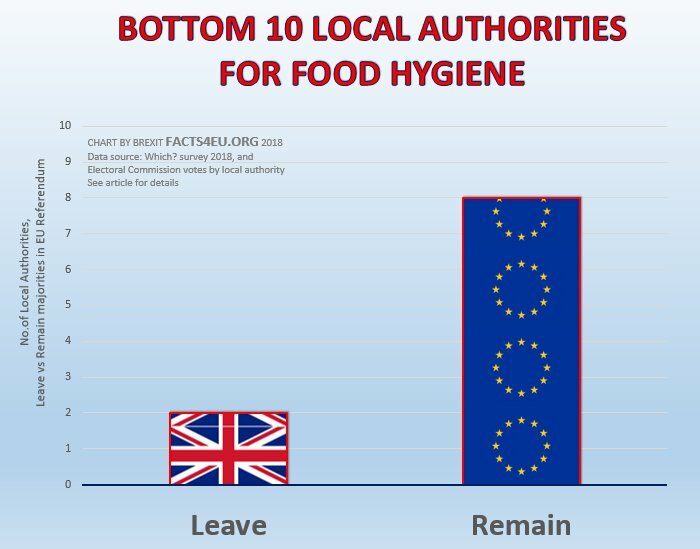 Most of the lower-rated on hygiene/high Remain voting Council areas are packed with restaurants, take-aways, street-markets with cooked food stalls - all heavily reliant on cheap EU labour. Without that cheap labour, many would have to charge much higher prices and lose custom, or they would have to close (as many are now doing - and pleading that this is because they can no longer get the necessary EU workers). In these areas, lots of workers don't make meals, or even breakfast coffee at home - they grab coffee and porridge from these establishments on the way to work and rely on them for all meals and refreshment throughout the day. So for many voters in these areas, their way of life is dependent on cheap EU labour (in this way and for their cleaners, child-minders, etc). In the Referendum they voted for No Change in their lifestyle. Message: Amusing observation Facts4EU and no doubt will be seized upon by Remoaners for its bad taste - I am guessing the majority of the unclean local authorities had Universities inside them and the cleanest local authorities were full of naughty pensioners that are holding the youth back... please don't make me laugh! 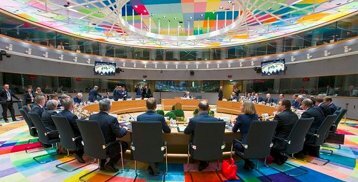 Ahead of the EU Council summit in Brussels tomorrow, Brexit Facts4EU.Org looks at one important aspect of the Brexit negotiations – that of concessions. It is generally agreed amongst pro-Brexit commentators that Theresa May has conceded on everything and got nothing in return. Looking at the evidence it is hard to dispute this. WHAT DID THERESA OFFER ON SECURITY AND DEFENCE? Last September Theresa May announced a new “Foreign policy, defence and development partnership” which the British government was offering to the EU. The government subsequently released a 24-page paper on this which you can read here. In effect, Mrs May unilaterally and without conditions offered the EU the full power of the UK’s defence, intelligence and security might, post-Brexit. WHAT DID THERESA GET IN RETURN? The EU has repeatedly said that security and defence must not be used as a ‘bargaining chip’. The reason was simple: the UK has the upper hand here and they were concerned to hold on to whatever they could. The UK is part of the all-important ‘Five Eyes’ intelligence network, and it has the largest military budget in the EU. 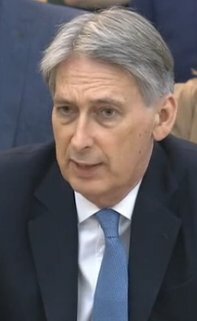 Not only did Theresa May not receive a similar offering to the one she made to the EU, they have now started refusing to allow the UK access to the EU’s own security and military arrangements – except for non-voting participation in certain aspects when it wants the UK to continue paying. The above are merely the items which have been announced by the EU in the last month. We have used security and defence as an example of Mrs May’s incompetence because these are big ticket items on the agenda for the EU Council summit she will attend in Brussels tomorrow, as we reported on Monday. As time goes by – and goodness has it gone by – Theresa May’s suitability as Prime Minister leading the most important change in the status of the United Kingdom in two generations has been shown to be non-existent. She isn’t just bad. She’s woefully bad. In years gone by, members of the Brexit Facts4EU.Org team have variously found the performances of the governments of the day to be underwhelming at times. However this time it isn’t about individual government policies, this is Brexit. It’s huge. The costs of getting it wrong are massive. And yet somehow this woman remains (pun intended) our Prime Minister. The proverbial can has been kicked so far down the road it will be rusty by the time we even reach it. We are now very seriously concerned that enormous damage is about to be inflicted on the country – and the holder of the highest political office in the land must be held accountable. This is going to cost billions and it will plunge the country into chaos. However we must also start to hold responsible those MPs who know full well that what we say is correct, and yet do nothing about it. We will very soon start writing about this. It’s time for them to man and woman up. Message: May is without question the most weak, inept, and incompetent leader this Country has ever had. She has absolutely not the faintest idea how to lead a party, or a government, or how to negotiate. It is so implausibly bad, you have to wonder if there is actually a massive conspiracy at work here. She is clearly intent on EUIABN, and I am convinced that this has all been a huge charade right from the moment she took over from Cameron, and including the farcical 2017 election. Why would your election campaign have at its heart a policy which you know for sure is going to alienate your core vote (older people)? You would only do that if you wanted to REDUCE your majority. Of course it backfired spectacularly, as her campaign managers had failed to allow for Corbyn's £27k bribe to all students. And why don't the 60 or so Tory Brexiteers do something to oust her? My guess is that they have all been threatened with deselection in the event of another general election (which would inevitably follow a change of leader). I think our last hope is with Boris, as he couldn't really give a sh** about politics, but I think he genuinely cares about the future of our Country. Message: I'm a Facts4EU fan: thank you for all your work. I was sorry to read the phrase: "...it will plunge the country into chaos" in your article: "Theresa giveth and the EU taketh away". Everything that you say about the awful negotiation tactics of the PM are true, but "plunging the country into chaos"? That sounds like Remainer exaggeration. Let's leave the poor Remainers to panic about the loss of their beloved EU comfort blanket and keep level heads ourselves. 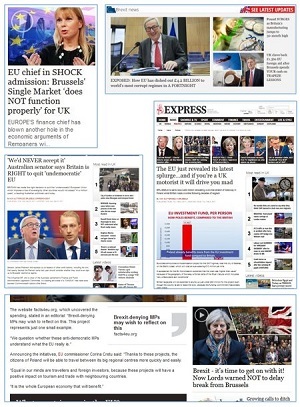 You wouldn't know it from the mainstream media, but the EU simply isn't important enough to the UK to cause chaos, catastrophe or even a cliff-edge fall. 95% of businesses don't export to the EU (although the 5%'s lobbyists fill the airwaves) and 88% of the UK economy doesn't come from EU exports. Anyway, we all know that exports to the EU will continue at significant level whether there is a trade deal or not. Let's keep the faith but let's also keep Brexit in perspective. Reply: Hi, you're right. But we expressed ourselves clumsily. (It happens when you're having to work through the night!) We didn't mean that Brexit itself would cause chaos in and of itself, but that the approach of Mrs May's government to Brexit might. We are deeply concerned at the possible breakdown in the compact between the people and the parliament. In a sense, it's the absence of Brexit we're concerned about. We also have concerns about the impact of May's form of Brexit, but perhaps we should discuss that in a further article. Message: Unsuitable as a Prime Minister? Certainly. Theresa May has been imitating the behaviours of the unelected tyrannical EU Bureaucrats, absolutely forgetting the point. Which is? That they lead a Dictatorship, an unelected Autocracy, whilst Great Britain is still a Democracy... just. It is not within the Democratic remit of a Prime Minister of this Nation to betray the People. Power crazy Theresa May has forgotten that she is a Servant of the People. Underestimate the Electorate at your peril. If PM May ignores all the published facts, which prove the UK would be supremely better off outside of the EU controls, this raises questions as to her motives. And the motives of Remainers within Parliament. Truth will always out in the end. Carry on as she has done over the last 2 years, and May and her Party will have proven themselves unworthy. They will pay the price at the Ballot Box. WHY WOULD THE ELECTORATE EVER VOTE FOR A CONSERVATIVE PARTY AGAIN? British Prime Minister Theresa May has been given a document prepared by the EU Commission which shows the extent of the EU’s migrant crisis. In the document, the Commission admits the shocking costs for dealing with the EU’s migrant problem which was exacerbated beyond any expectation by the unilateral actions of German Chancellor Merkel, when she broke the EU’s rules in 2015. In just two days’ time, Theresa May flies to Brussels for what was supposed to have been an EU Council summit dominated by Brexit. 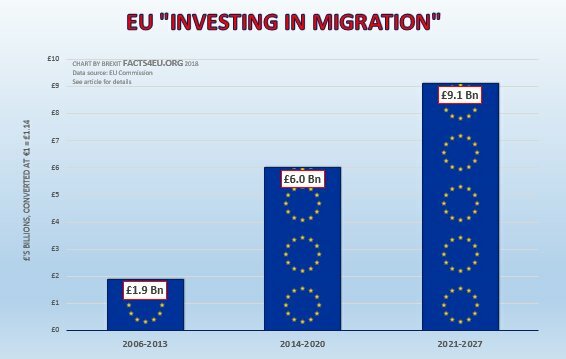 Instead, it will be all about the EU’s response to its migrant crisis – and the rocketing costs. For the EU27, Theresa May’s views on migration and asylum policies will be of little interest but they will want her approval of any measures proposed for one good reason. Money. The UK government’s current policy is to continue paying vast annual sums to the EU after the supposed Brexit date of 29 March next year. In essence, Mrs May has agreed not only to keep paying for everything after the notional Brexit date, but for some years to come thereafter. Below we provide a simple Brexit Facts4EU.Org visual summary of the information which Mrs May has been given by the EU Commission. The costs above relate to the official EU budget for the years in question. In a rare show of candour, the EU Commission has also given Mrs May the costs for some of its other programmes related to the migrant crisis. Below is a chart showing these costs, which are ‘off-budget’ and which do not form part of the officially reported figures. 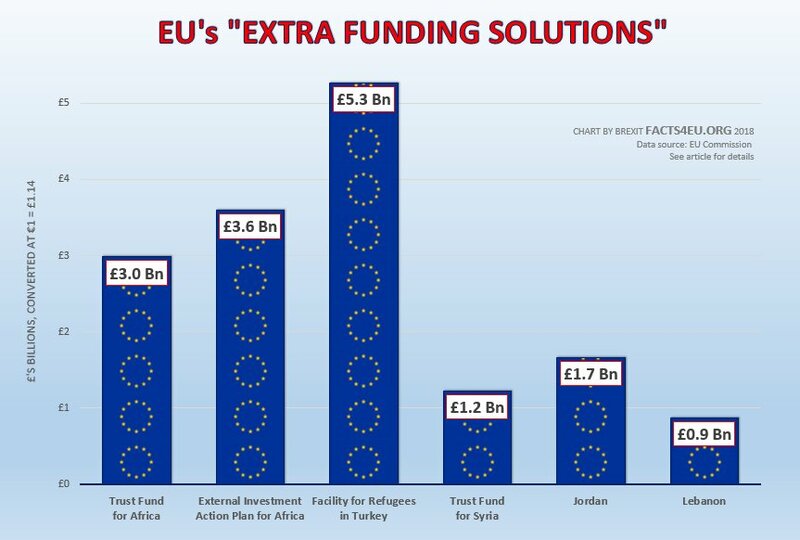 These are funds which never appear when the public see summaries of the UK’s annual contributions to the EU, because they don’t form part of the ‘official’ EU budget. On top of the costs above, there are many, many other funds which pay for the consequences of the EU migrant crisis. For example, we have previously reported that the Commission has started urging member states to make use of monies from the ‘Cohesion Fund’, in order to cope with issues such as the integration of migrants. Accordingly, the true costs of the EU’s migrant crisis have been masked from the public. The Cohesion Fund “aims to reduce economic and social disparities and to promote sustainable development” and is for poorer states only. The UK pays into that fund but receives nothing from it. The current Cohesion Fund amounts to €63.4 billion (approx £56 billion GBP). When Theresa May flies to Brussels on Thursday for the EU Council meeting, she will not be discussing Brexit. Despite two years having passed since the UK’s EU Referendum, Brexit has to wait until she has agreed her government’s policies with the cabinet at an ‘away day’ next month. Following this a White Paper will be produced. The EU27 leaders will briefly discuss Brexit on Friday after she has left, and the discussion is limited to the position which has been reached so far. No doubt statements will follow, but it is expected that these will be of the “clock is ticking” variety. Instead of Brexit, on Thursday the British Prime Minister will discuss the EU subjects foremost in the minds of the EU27 leaders. In our article yesterday we listed these: migration, economic union, and defence & security. The hottest topic is of course migration, with the EU in complete disarray over the policies it should pursue on issues like asylum rules, relocation, refusals to admit migrants at borders and ports, and repatriation. The charts above were prepared by us using the information contained in the document given to each of the EU28 leaders. We thought the PM might find it useful to look at pictures, as she seems unable or unwilling to take on board just what a mess the EU is in. 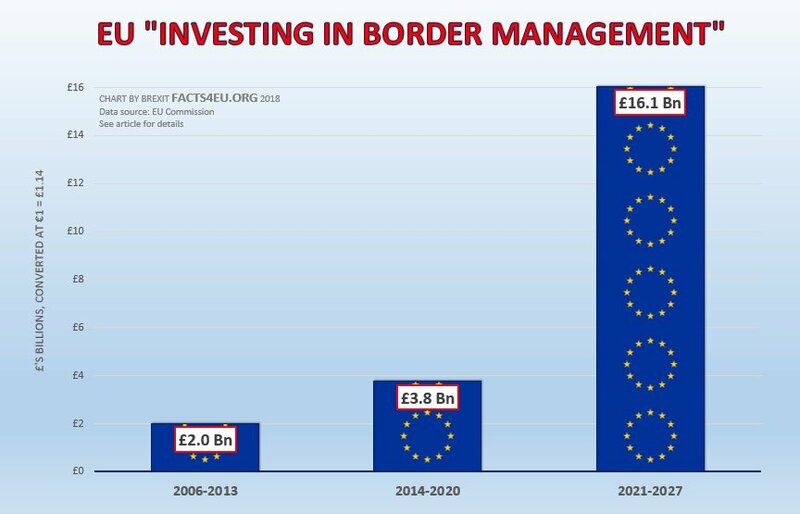 We must stress yet again that under the terms of what the Prime Minister is currently proposing to the EU, the UK will continue to pay a significant proportion of these costs for years to come. In some cases the liabilities she is taking on will last for decades. At Brexit Facts4EU.Org we are simple folk. 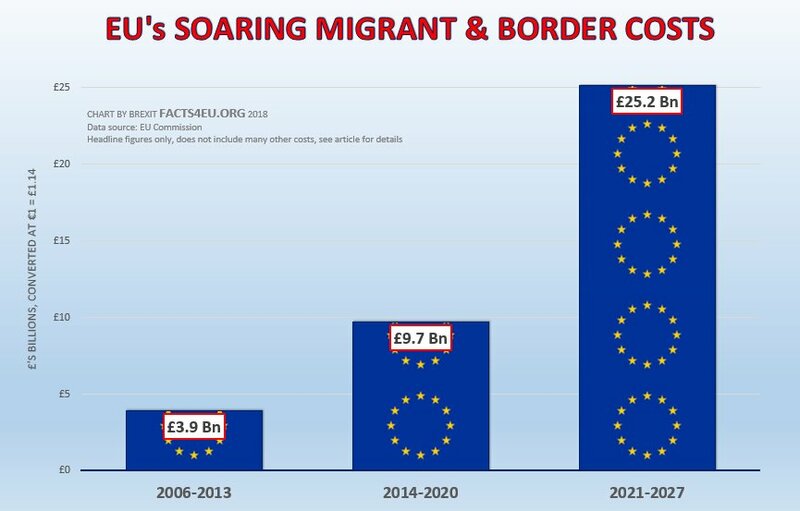 For us, it beggars belief that the UK should keep funding these ever-increasing demands which will benefit the EU27 countries. It is even more galling that part of the reason for the rocketing costs is the decision of Chancellor Merkel to break EU rules in 2015 and subsequently. We have written many times that a significant number of people voted Remain on the basis of what they think the EU is, not what it actually is. We live in a world where news last week and over the weekend was dominated by Nrs May’s decision to throw another £20 billion per year at the NHS. We do not comment on internal UK politics as we are party-neutral. We must however say that if a fraction of the broadcasting time which has been devoted to matters such as the NHS funding story were devoted to the EU’s spiralling costs over the years, then more of the British public might start to take a different view about remaining in the EU. Please help us to get news like this more widely known. Message: I write as a British Expatriate, returning home to Britain soon. I went abroad for work. Work has always been temporary contracts. My work gives temporary residency only to my wife and children -- not any other relative. My children, when they finished local school had to go home to Britain. I cannot retire permanently in my country of work. This is normal. It is time for many immigrants to Britain to be treated as expatriates. I am surprised not to see this easy solution. Message: With the EU in crisis May should turn the screw and withdraw our offer of money. Being honourable and nice to these people doesn't work, the "special meaningful relationship" with the EU after Brexit is pie in the sky. The EU is out to destroy the UK, we have seen that as they try to blackmail the UK over something or other every other week. So all bets should be off, the UK on the front foot demanding an agreement on trade by 29th March 2019, or our chequebook snaps shut. On Thursday Theresa May will attend the EU Council meeting in Brussels, where Brexit was originally intended to be the hot topic. As Mrs May has been unable to agree her Brexit policy with cabinet members – two years after the country voted to leave the EU – Brexit has dropped to 4th out of the 5 main agenda items. “The European Council (Article 50), meeting in an EU 27 format, is expected to take stock of the progress made so far in the Brexit negotiations. The Commission's chief negotiator, Michel Barnier, will update the EU27 heads of state or government on the state of play of the talks. If any further proof were required of the British government’s failure to agree a Brexit policy after two years, the above agenda provides it. Originally this EU Council was to be a defining moment in the talks. In reality there is little for the EU to discuss, as they wait on the British government’s decisions about fundamental matters such as the ‘MaxFac’ or ‘Customs Partnership’. Instead, Theresa May will be invited to agree a range of topics which only affect Brexit insofar as they have cost implications. Technically these costs would not have concerned Mrs May had the UK been leaving on 29 March next year, two and three-quarter years after voting to leave the EU. Regrettably, Mrs May is proposing that the UK stay in the EU to all intents and purposes until 01 Jan 2021 or 01 Jan 2022. Whilst she will say she has delivered Brexit on 29th March next year, the UK will continue to pay for everything, as at present – only with no say on how the money is being spent. More important for the EU Council than Brexit are migration, the economy, and defence matters. Brexit Facts4EU.Org has reported many times on the massive build-up in the EU’s military capabilities and ambitions. On Thursday some of the most important elements of this will be discussed by the EU28. Mrs May will be part of the decision-making process. We have very serious reservations about the advice she will have been given by officials, and the policy being pursued by the UK government. Some of the issues on the defence agenda should be contested by any British Prime Minister, as they represent a threat to the integrity of NATO as well as to the independence of the UK’s armed forces and defence industry. In practice, Mrs May knows nothing about defence matters and will rely wholly on the Europhile civil servants in the MoD and Cabinet Office to advise her. In the next article we look at what Theresa May will be shown on the EU’s migration crisis. Message: While I laud Facts4eu and support your tireless devotion to bringing out the true facts about the insidious EU and its total, across the board, incompetence. I find it hard to support your UK apolitical stance! Ignoring Corblimy with his quasi-communistic tendencies, T. May and her cohorts are, for reasons unknown (many conspiracy theorists out there with a viewpoint? ), is destroying the very fabric of UK society; due to her financial ineptitude, political naivety and supporting a calamitous open migration policy. First, she was a demonstrably incompetent Home Secretary, which has caused havoc in cities throughout the UK and in particular within London boroughs; and secondly as a totally inappropriate and wholly ineffective, and in many ways destructive, Prime Minister. For me, the first priority is to relieve (the Banker's installed puppet) T. May of her duties and install a real Brexiteer/Patriot that has the cojones to stand up to Brussels (Germany)/Banks/Big Business interfering in United Kingdom affairs...the rest will sort itself! Message: When handling research students, I often say: you propose a solution, and I will criticize it. Who needs to sweat? Britain can easy default to WTO. Let the EU work on presenting a deal to us. We will evaluate their ideas and if necessary send them back to produce something better. Turn the tables. Use the threat of a meaningful vote in parliament to terrify them into offering a fair deal. Meantime, we just sit back. Theirs is the hard work to appease our parliament. Message: Brexit is the least of the EU's problems. Merkel is toast, her government will fall if she sacks Interior Minister Herr Seehofer over reintroducing border checks. There is no solution to this problem Merkel created. A comment on Conservative Women blog from somebody living near the Bavarian border said border checks are already in place,just not official. The EU has always been a Franco German partnership and now the strongest arm of that alliance has been weakened. It took three months to cobble together this German coalition government how long for the next? The EU is in disarray there is no sign of the migrant crisis being solved. Meanwhile another 1000 economic migrants are at sea on an NGO "rescue boat" with no country in the EU willing to let the NGO boat dock. Message: Off-topic, but I've just seen this article about Boeing's investment plans for the UK. What a contrast with all the threats and negativity from EUbus. Today a ‘Mini-Summit’ will take place in Brussels, requested by Chancellor Merkel and organised by the EU Commission. The countries most against EU policies on relocation of migrants have not been invited. This latest migrant crisis has been caused by German politics, with Mrs Merkel’s Interior Minister Herr Seehofer saying he will start turning back migrants at Germany’s borders. To prevent her fragile coalition falling apart, Merkel asked Seehofer for a delay to enable her to do deals with other EU countries ahead of the main EU Council Summit on Thursday this week. The Commission issued a draft agreement last week, ahead of the Mini-Summit. Italy immediately rejected it and threatened to boycott the meeting today. In a frantic diplomatic effort, which included a call by Frau Merkel to new Italian Prime Minister Conte, the document was withdrawn. 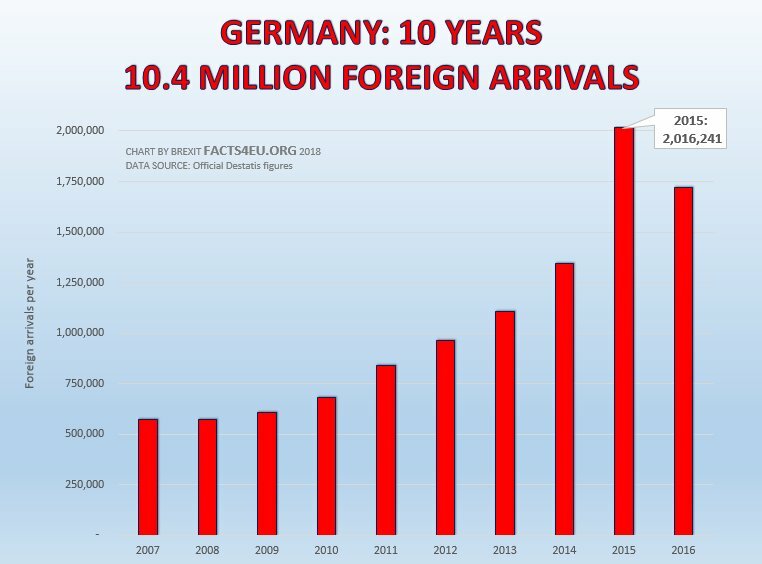 Regular readers will know that we have covered in detail the extent of Germany’s problems with immigration in the years that Angela Merkel has been Chancellor of Germany. We have spent considerable time analysing the information available from Germany’s official government statistics agency, Destatis. Naturally many people left too, but here we’re looking at arrivals because a country has to accommodate and deal with a large increase in its population, even if others are leaving. This is particularly true when it comes to the kind of migrants who have recently arrived in Germany, who need total all-round help in most cases. Frau Merkel’s junior coalition partner for decades has been the CSU – effectively the party which governs Bavaria in the south of Germany. Never comfortable with Chancellor Merkel’s unilateral declaration in 2015 which tore up the EU’s asylum rules, they have now flexed their muscles. A week ago Frau Merkel received what is effectively an ultimatum from the CSU: Close the borders or else. Many see this as a direct response by the CSU to the increasing popularity of the anti-immigration Alternatif fur Deutschland (AfD), which is now the official opposition in the Bundestag. 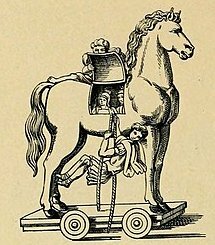 In Italy the new coalition government of the 5-Star Movement and the Lega have started doing exactly what they promised in their manifestos. The boats of NGOs funded by Germans, Scandinavians, and organisations linked to ‘Open Society’ billionaire George Soros have been turned away from Italian ports, causing a crisis in which Malta, France and Spain have all been caught up. The new socialist Spanish government in Madrid agreed to take the first of these NGO migrant boats which carried over 600 migrants, after both Malta and France refused. Yesterday another NGO boat, the ‘Mission Lifeline’ funded by Germans, was refused entry to Italy. 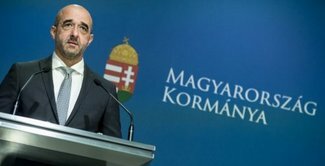 In Budapest on Thursday, the four Visegrad countries of Hungary, Poland, Czech Republic and Slovakia, plus the new government of Austria, issued a statement strengthening their position against the EU’s migrant policies. Certainly the Visegrad 4+1 seem to agree with Italy’s new policy of turning away NGO migrant boats. However, Italy wants other EU countries to take its migrants, and this is something which none of the other countries will agree to. Clear splits are now developing across the EU on a variety of issues, of which migration and asylum policy is one. Separate alliances are now growing within the EU and any attempts by the EU to claim ‘unity’ or ‘solidarity’ are simply no longer credible. 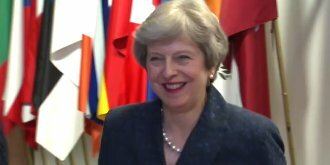 On Thursday Theresa May will go to Brussels for the 3-monthly EU Council summit meeting of EU28 leaders. Brexit will NOT top the agenda. In many ways this is fortunate for Mrs May, as her government continues to have no defined set of policies in respect of customs and related issues, despite two years having passed since the UK’s Referendum to leave the EU. WHERE IS THE UK’S FAMED FOREIGN POLICY FINESSE? A British government which had been fully in control of its agenda would now be exploiting the splits across the EU in an effort to establish unofficial alliances. Sadly it seems that Mrs May is more concerned with ingratiating herself with Presidents Juncker and Tusk, and with Frau Merkel and President Macron. We do not believe that Theresa May is competent in international relations. We shudder with embarassment whenever we see her at summits. Forget any idea of her walking in and commanding the room, we’re sometimes just grateful when she actually manages to find the room in the first place. In our view, most of the failure of the British government’s approach to Brexit lies at the door to No.10. Message: The BBC's Katya Adler struggled last night in reporting the failure of the mini summit on migration to achieve any result. The Council and the Commission are so split Tusk did not attend. I resorted to reading POLITICO. There is no unity within the member States. The Commission is throwing money around to solve Germany's self inflicted economic migrant problem. Once the invaders assisted by NGO's breach the outer borders, Schengen allows freedom of movement. A good reason for voting to leave this lumbering, bureaucratic Empire. Two years ago this weekend, the most momentous national decision in over 40 years was made by the British people. This weekend Brexit Facts4EU.Org looks back to the heady hours and days following this event. The decision wasn’t announced by the BBC until 04.40am on the 24th, but by universal acknowledgement the 23rd of June is accepted as the anniversary. We have received some emails and messages via social media, suggesting to us that people are not in the mood to celebrate, given the state of play overall in the government delivering – or not delivering – Brexit. Our position is that a very large number of people worked very long hours for many months – and in many cases years - to achieve a Leave victory. Without that result there would not be a Brexit path to be disappointed about. So, despite the shocking lack of progress, let’s look back on this second anniversary with pride. For many of us, the moment when David ‘Doombleby’ had to announce the BBC’s declaration of a Leave victory was particularly sweet. Immature of us? Perhaps, but when we and everyone else had had to put up with the smugness and outright anti-Brexit bias of the Brussels Broadcasting Corporation for months, then yes, we rejoiced in this Establishment Remainer’s shock and anguish. Let’s not forget, it was our EU partners - the Germans - who invented the word for enjoying the misfortune or misery of others: ‘schadenfreude’. If it’s good enough for the de facto rulers of the European Union, it’s good enough for us. Today at 09.55am Saturday 23rd June, the BBC Parliament channel will be broadcasting the entirety of the BBC’s coverage of the results. For those of you who lead normal lives and have things to do, you can also catch up on YouTube using this link. In recent days we have tried to discover what events were being planned for today. It seems the ‘big beasts’ of Brexit (Leave.EU, LeaveMeansLeave, BrexitCentral) haven’t organised anything. 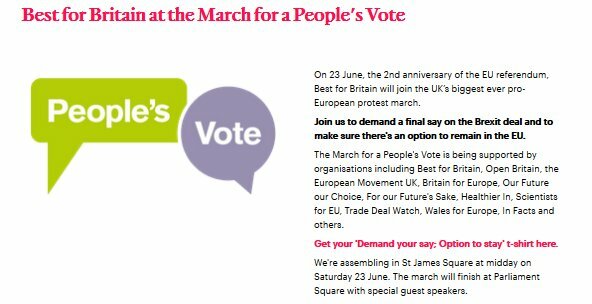 Meanwhile, the Remainers have been very active, and today there will be a ‘People’s March’ demanding a ‘People’s Vote’. As you can see, the various Remainer groups have come together to coordinate an event which will doubtless be given great prominence in the news output of the BBC, Sky News, Channel 4, and ITV News. Fortunately there is one pro-Brexit march you can join. It is called the UK Freedom March (UKFM 23 JUNE). And for those of you who are members of ‘Leavers of London’ there is a picnic, but details are only available to members for security reasons. Contact Leavers of London - you have to be a member to attend. The BBC is re-showing their entire Referendum night coverage on the Parliament channel, from 09.55am. Note: This plays all day, not all night like the original ! We will be celebrating this weekend and we hope you will too. This was an astonishing victory for ordinary people over the Establishment. In our view it marked a shift in the political tectonic plates. Whilst this does not appear to have been fully taken on board by the political and media classes, we suspect that they are in for a shock. We see no signs that the underlying rejection by ordinary people of the Westminster-centred group-think is diminishing. As ever, these things tend to lie below the surface. We continue to warn the government and the establishment media that they are playing with fire if they think they can ride roughshod over the democratic wishes of the bulk of the populace. As we pointed out yesterday, most people don’t obsess with politics each day. But if the government’s current ‘soft Remain’ approach turns into a concrete deal, and when the people are then informed of the terms, expect fireworks. Theresa May’s whole Brexit approach would turn the UK into little more than a dominion of the EU for years to come. It is imperative that this be fought against with everything we have, to stop this from happening. We did not combat and defeat the threats, insults, and sheer arrogance of the Establishment two years ago this weekend, to see our victory taken from us. For today though, it’s our Independence Day and we’re going to celebrate that! Message: 'It really is about time that absurdly biased organisation was shut down'. Well BBC will be poorer without the EU payments for propaganda. Any bets it might become antiEU when we have actually left? And its paymasters alter ever so slightly. Biased Beeb? never!!! It just picks its commentators from Guardian ads only. Message: Predictably, the BBC's lead story today is all about the anti-Brexit marches, including lots of quotes from tiresome idiots like Gina Miller, Vince Wiring and Caroline Lucas. There is no mention of people celebrating our independence. It really is about time that absurdly biased organisation was shut down. Split off the natural history unit as a private company to sink or swim on its own merits, then sack the rest of them, saving us £3bn a year. Message: Thank you Facts4eu and fellow contributors for waging the war on behalf of Leave. You are fighting with the sword of truth. Keep the Brexit flame burning brightly! Message: I just wanted to add to what Paul said. I read your articles everyday and I'm sometimes quite amazed by them - I had no idea about some of the things you have highlighted. I really wish more of your research appeared in the Press and Broadcast Media because people would be very shocked by quite a lot of it. I just wish I had the means to be able to help support your work, but alas I do not. I am sure that Leaving the EU will make me and millions like me far better off. You have my grateful thanks for all your hard work. Reply: Thank you Andy. Your message of encouragement boosts the team! Message: Congratulations to the 17.4+ Million patriotic British citizens that voted on this monumental day 2 years ago to leave the EU. I fully concur with Paul A, East Sussex, UK. Congratulations and great thanks to the FACTS4EU team for all your hard work and resoluteness, and for providing the erudite ingredients that brought to UK people's attention (against all odds and in spite of the nefarious non-patriotic agent provocateurs) the real intelligently researched journalistic awareness and truth of the EU's deep routed incompetence, shameful profligacy, political self-serving greed and its abhorrent insidiously dangerous ideology! We know the job is not completed and there continues to be a long and difficult treadmill ahead. We trust FACTS4EU, with all its supporters, will be given the means to carry on this magnificent fight to its rightful conclusion! You are all true British patriots. Thank you. Reply: Yes, the people did this. We played a small part - so many people were out there campaigning day after day. Back then we were talking to them every day so we know the effort that went in. This was a fabulous victory for ordinary people! Reply: You have NO idea how much your message means to us. HOW DID THE EU CELEBRATE THE LEAVE VICTORY? Following the victory on 23rd June 2016, the next day the EU Commission President made a statement in his headquarters in Brussels. An emergency meeting was called, which included EU Council President Donald Tusk, EU Parliament President Martin Schulz, and President in office of the Council of the EU (and Dutch PM) Mark Rutte. What you see in the video is a broken – but angry – man. He was addressing the Brussels press corps. His implication was clear: the British who were present would no longer be regarded as ‘dear friends’. If we hadn’t already known how the EU would treat the UK, this was surely all the confirmation that anyone required. We have consistently argued that the EU would act politically, not rationally, and that a sensible agreement with them would be impossible. We suggest that the EU’s actions over the past two years have proved us right. What a shame that Theresa May still imagines she can have a “deep and special partnership” with these individuals. As have said many times, our quarrel is not with the 443 million people of the EU27 countries. We love Europe, but hate the EU. Back in 2016 the British government should have started a campaign to appeal over the heads of the unelected bureaucrats like Juncker, and the elitest leaders of some of the EU27 countries. We proposed this many times. Unfortunately in Whitehall there simply doesn’t seem to be any understanding of the mindset of the EU mandarin and EU politician. To this day we remain available to Her Majesty’s Government to advise them. HOW DID THE LEADER OF REMAIN TAKE IT? Below is the official announcement by the then Prime Minister, the Rt Hon David Cameron MP, of the result of the EU Referendum. Following this announcement, Mr Cameron and his government – including Theresa May – disappeared. The shock to the Establishment was deeper than anything they had previously experienced. We continued reporting on the 24th and each day thereafter. The official Vote Leave campaign seemed to feel its job was done and couldn’t quite believe the result. Government ministers – including our current Prime Minister – simply went AWOL. Message: "Government ministers - including our current Prime Minister - simply went AWOL"...and continue, metaphorically, to this day! However, regardless, we will have our full Brexit day, come hell or high water! THE BREXIT FACTS4EU GUIDE TO CELEBRATING! Tomorrow is the second anniversary of the victorious referendum result in which the British people voted in the largest numbers of any democratic vote, to leave the European Union. Below we are starting a list of events, marches, etc which we urge you to support. Let's send a strong message to the government that Brexit really does mean Brexit. These events all take place tomorrow, unless otherwise marked. If organisers have an official link, please send it to us and we'll add it. Message: ACTION: As always it beggars belief how certain members of the so-called political class deem it necessary to circumvent the will of the electorate. Equally, all the original supposed pumped up guile shown from Parliamentary Brexiteers, which at the time was highly commendable, has now descended into bluff and bluster from the majority with the ensuing negotiation shambles; which has become very irritating and frustrating in equal measure! So what is there to do to show the disappointment in all these nefarious pointless shenanigans? Other than civil disobedience the only recourse is to show one's displeasure at the ballot box. 1. General Election 2. Choosing your next MP 3. Local level - choosing your next counsellor. Those delusive officials that chose to support the Remain factions, against the will of their electorate, should now feel the full displeasure by voting them out of public office! In the past few days, the myth of EU unity has been exposed yet further. Yesterday the Visegrad Group of 4 EU countries met under the rotating Presidency of Hungary’s Viktor Orban. This time, the V4 were joined by a special guest – Austria’s dynamic young Chancellor Sebastian Kurz. He joined the leaders of Hungary, Poland, Czech Republic and Slovakia, as they met to discuss the continuing and escalating crisis in the EU over what to do about migration. The EU Commission had taken the very strange step of convening a special meeting of a selected number of EU countries - to which the V4 were not invited – and had even issued a draft agreement which was to be discussed. As Hungary’s Viktor Orban pointed out: “It is not the Commission’s place to organize any prime ministerial summit”. Brexit Facts4EU.Org has the documents proving that this ad-hoc meeting of restricted attendance was indeed organised by the EU Commission. The EU’s ‘solidarity’ and ‘unity’ is now a complete sham. When the Chancellor of Austria turns up to the Visegrad Summit, and the Italian government threatens to boycott any EU talks on migration, you know things are getting serious. Germany’s Frau Merkel is in serious difficulties in her own country over her disastrous immigration policy. This unilateral policy broke EU rules and yet Germany hasn’t even been censured or fined for it. She now has less than two weeks to persuade EU countries to agree something, or risks facing her coalition government falling apart. Meanwhile yesterday, the EU Commission President Jean-Claude Juncker nevertheless felt able to visit Ireland for two days with Michel Barnier, in a further attempt to prevent the UK from leaving the EU on any form of rational basis. It is no exaggeration to say that the EU is going through one of its worst times this century. 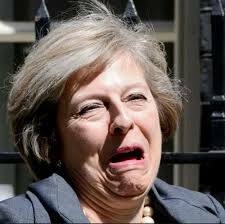 If we had a Prime Minister worth her salt, the UK would capitalise on the disarray. WHAT MRS MAY’S ‘BREXIT’ MEANS? Readers of this site are exceptionally well-informed. We know this from our mailbag – which is mostly of the ‘not-for-publication’ variety. Incidentally we sometimes wish more of you would allow us to publish your comments, even if under a pseudonym. However the Brexit Facts4EU.Org team has always seen the importance of getting the message out to ordinary members of the public, who simply don’t have time to follow what they regard as ‘politics’. We’re talking about people who will only look at things when there appears to be some kind of important event or decision. Whenever one of our lines is used by a politician, or when one of our stories is picked up by a newspaper or by one of the ‘establishment’ Brexit organisations, we’re delighted. However, one of the unfortunate by-products of the lack of leadership and decision-making by the Prime Minister is that two years have passed. People are bored of the ins and outs of Brexit politics. In practice this means that many people out there are simply unaware of what Theresa May will be ‘delivering’ on 29th March next year. So, “taking back control of our laws, our borders, and our money”? No. People must now be told in simple terms what we’re facing. It’s even worse than the ‘Stay-tus Quo’. From 29th March the UK will no longer have a say in EU decisions and will have no vote in EU bodies. This isn’t Brexit. It’s simply unbelievable. It’s a once great country being in effect a colony of the EU with all decisions being made by unaccountable politicians and bureaucrats in Brussels. This country could exit the EU in March if it wants to. All it takes is the will. If you have the will, could you support us in trying to save things? These days we have some influence and we’re in the mood to do everything possible to save this country from becoming a non-voting region of the EU from March next year. Message: How to destroy the Conservative Party for ever? PM Theresa May and her cohorts are doing just fine on that front. Never has a Government in our lifetime made so many two-faced lies, nor looked to damage us as a Nation. Playing soft with an EU bureaucracy who make ever more ludicrous and blackmailing financial demands on us is an outrage. But the People, the Electorate, WILL abandon the Tory Party at the next General Election. The Tories wont stand a chance. And we WILL vote in the Party who will undertake to get us out of the EU, and quickly. As I see it there are now only two options, and the Tory Party need to act soon: give PM May an ultimatum that she goes for a 'Clean' and absolute Brexit, with no future ties to the EU, or a Vote of No Confidence will cut short her tenure as Prime Minister and replace her with a Brexiter. It's time to turn the tables on Mrs May - give her a talking to, not the other way round. Is there anyone with backbone in Government? If they don't do this, we can take it that the Country is being ignored. The British people WILL ultimately have what they voted for, and will refuse to accept a fudge now as an answer. No, joining a 'customs partnership' instead. No, being tied to the single market instead, and all that entails. Have you noticed how Al Beeb is leading their news coverage with the latest threats/blackmail from Airbus? I've just watched the Daily Politics, which featured an interview with Nigel Farage. He correctly pointed out that Airbus is an EU funded organisation. A strong leader (like Trump) would stand up to them and call their bluff. I'm sure there are many companies who would be delighted to take over Airbus factories, such as Boeing, for example!! Control access to our territorial waters for fishing? - No. Reply: Thanks. We didn't forget, but our initial list was so long we had to cut it back for impact! Tomorrow a large part of the British public will be celebrating the second ‘Independence Day’. On 23rd June 2016 more people voted to leave the EU than for any other democratic choice they had made in the history of the United Kingdom. We will aim to publish some positive and optimistic news tomorrow. Today we propose to give readers a few thoughts on where we are, two years after the EU Referendum. AFTER TWO YEARS, WHITHER BREXIT? David Cameron promised many things during his time as Prime Minister. Amongst the more memorable were his promise that the government would enact what the people decided, meaning the Referendum was far from being ‘advisory’, and that he would trigger Article 50 the next day if the people voted to leave. So why aren’t we leaving the EU this weekend? The answer is simple. The British people made the ‘wrong’ decision. And ever since then it has been the job of the Establishment to put that right. When the leadership of the Conservative Party changed, it was out with the old guard, and in with the… er… old guard. The Conservative parliamentary party chose to appoint a Remainer PM (the former Home Secretary), who in turn chose a Remainer Deputy, a Remainer Chancellor, a Remainer Home Secretary, and a cabinet composed of 74% Remainers. In general election terms, it was if the people had voted for Party B but Party A decided to stay in power regardless. “It is simply inconceivable that a pro-Remain candidate could take Britain forward and take advantage of the wonderful opportunities which lie ahead for the UK in our exciting global future. “In particular, readers will recall that we issued a ‘Missing Persons Notice’ for Theresa May during the campaign. In short, if you want to know why we are not leaving the EU this weekend – or even on 29th March 2019 come to that – look no further than the fateful decision of the Conservative parliamentary party in July 2016. It has been openly admitted by the country’s top civil servants that no preparation was done for a Leave result in the Referendum. Their defence seems to be that the government told them not to. However can you imagine a scenario where the Civil Service does not prepare for a new incoming government after a general election? Or where they fail to do this because the previous government told them not to? No, neither can we. As a result of this gross incompetence, the Civil Service was in no position to advise the government that it would be ready for an exit in two years’ time. We also have testimonies from the head of the Civil Service and the Head of the Diplomatic Service, displaying the same breathtaking arrogance, and confirmation that they failed to prepare. Unfortunately this problem was exacerbated by the fact that what appears to be the entire top echelon of the service is manned by arch-Remainers. If you have any doubt, ask yourself why the eight former heads department of the civil service now in the Lords have all voted consistently against Brexit legislation. Over the two years since the Referendum we have reported many times on the blatant bias of the BBC, Sky, and other major media outlets against Brexit. We are fully aware that Remain campaigners insist the opposite, but as with so much related to Brexit the facts are against them. All research into numbers of pro- and anti-Brexit guests on the BBC has shown this. For example a Civitas report this year showed that in a 10 year period on the BBC News’ flagship Today programme on Radio 4, only 123 out of 4,275 guests discussing the EU were in favour of leaving. That’s 97% pro-EU. This isn’t even just bias, it’s brainwashing. We used to live in a world where heads would have rolled for this. Now they just brazen it out. 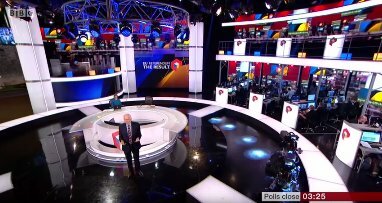 The effects aren’t only felt in flagship programmes such as the R4 Today programme and BBC Question Time, they penetrate all news coverage on a 24-hour basis. The only reason why the Brexit Facts4EU.Org team sometimes still have to watch, listen to, or read the BBC is to know what ordinary members of the public are being subjected to. It is now our reluctant but firm view that the BBC’s News and Current Affairs Department is beyond saving. Shy News is almost as bad, but at least they are not being funded via a compulsory public tax. Within days of the Referendum result, High Court legal challenges were being prepared. The ‘great and the good’ went into overdrive and shamelessly acted to block Brexit for any number of spurious legal reasons. To this day there are barristers enthusiastically acting for Remainer organisations who continue to attempt to thwart Brexit, with the latest legal challenge having been defeated only last week. We are now well past the point where we would describe this nonsense as ‘vexatious litigation’. When it comes to party politics, our elected representatives have not, alas, covered themselves in glory. In fact we would say that they have seriously damaged any vestiges of trust the public still had in its MPs. The Conservative MPs permitted a Remain administration to be formed. Worse still, the Brexiteers have repeatedly failed to stand up against the increasingly Remain proposals of the government. In doing this they have enabled the Remain mess we are now looking at. Jacob Rees-Mogg, seen by some as the great white hope, has merely acquiesced after some huffing and puffing. The official opposition has been in continuous disarray, barring a few courageous souls such as Kate Hoey, and lately Caroline Flint. The SNP have merely been a loud annoyance, focusing as they have on anything they think might advance the increasingly unpopular course of independence for Scotland. The LibDems are of course EU-lovers through and through. It has been deeply shocking for many people just how little the living representatives of the principle of democracy in parliament have traduced it so completely. It’s not so difficult to understand: Parliament gave the decision to the people, the people made it, and they expect Parliament to enact it. Then we have the remainder of the Establishment. They continue to use any means possible to persuade the public that the wrong decision was made, despite the complete destruction of any credibility to their pronouncements prior to the Referendum. Whether it’s the Archbishop of Canterbury, or a top business executive, they simply can’t accept the democratic result. 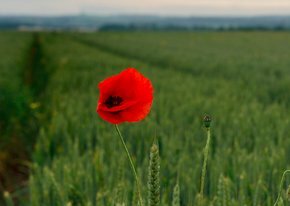 It’s sad that two years on from that wonderful victory against all the odds, we are forced to write something about the parlous state of our society. As we said at the top, today we’re having to review where we are. Tomorrow’s articles should be more positive. Message: Regarding Answer 4 - The only reason I watch the BBC/Sky and read the Grauniad online are so that I will know what the enemy are thinking. Message: Strikes me, that the European Nations, who have voted in Parties opposed to many of the EU dictats, now have much stronger leaderships now in place than we can ever hope for here in Britain. Not one Parliamentarian has shown the same levels of strength, valour and honesty to throw over the stinking brew of Remainers. The 'brew' being our PM, her advisors in the Civil Service and MPs who act against the Country's majority vote to Leave the EU. Why on earth do we need a 'meaningful relationship' with the EU? Why ally ourselves with an organisation who are clearly out to destroy the United Kingdom? WE'RE REALLY GRATEFUL TO OUR SUPPORTERS. UNFORTUNATELY WE ONLY RECEIVE A QUARTER OF WHAT WE NEED TO SURVIVE. CAN YOU HELP? Yesterday the EU Withdrawal Bill was finally passed in the House of Commons, then in the House of Lords, and it has now gone to Her Majesty the Queen for royal assent. The Bill was the subject of hundreds of amendments, the last significant one of which was defeated yesterday in the Commons by a majority of 16 votes. There were 6 arch-Remainers from the Conservative side who voted against the government in the division: Heidi Allen, Ken Clarke, Phillip Lee, Antoinette Sandbach, Anna Soubry and Sarah Wollaston. On the Labour side there were four rebels who backed the government: Frank Field, Kate Hoey, John Mann, and Graham Stringer. Seven other Labour MPs abstained. WHAT WAS THE FINAL COMPROMISE? A statement was issued yesterday afternoon by Brexit Secretary David Davis saying that the government will issue a statement on which MPs will have a vote “in neutral terms” if the proposed UK-EU Brexit deal is voted down, or if no deal has been reached by 21 January 2019. However the statement made specific reference to the role of the Speaker, ardent Remainer John Bercow, in determining whether the statement is on neutral terms. This opens the door to MPs to call for House Rules to be suspended in order for them to be able to amend the statement. In theory this could result in a series of subsequent votes instructing the government what to do. The last two weeks have been for political wonks who rejoice in parliamentary procedures. “Today's votes show people in the UK, and to the EU, that the elected representatives in this country are getting on with the job, and delivering on the will of the British people. We regret to say that Mrs May’s statement at the Policy Exchange is simply untrue. FIRSTLY, it has taken the government an agonising two years since the Referendum to get to the point of passing the first major Bill which will transfer EU law into UK law on the formal exit day – still set as 29th March next year. SECONDLY, on that official date, the UK will not have truly left the EU in any shape or form. We will continue to have our laws made in Brussels, we will continue to subject to the Court of Justice of the EU, we will continue to pay full annual contributions to the EU, we will continue to be unable to trade as we wish with the rest of the world, and we will continue to have to let into the country an unlimited number of EU migrants. AND THIRDLY on top of all that, the UK will no longer have a say or a vote in any decision-making bodies in the European Union, up to and including the EU Council. An enormous amount of parliamentary time, TV and radio air-time, and newspaper column inches have been expended on a Bill which still leaves the UK effectively in the EU as a vassal state. On Saturday millions of Britons will be celebrating Independence Day – the second anniversary of the EU Referendum on 23rd June 2016. Whilst this is a day to be celebrated, we are compelled to say that the delivery of what the people voted for has been little short of an unmitigated disaster. We will write more on this tomorrow. Message: Remember that letter before referendum from company CEOs recommending remain vote? Of course irrelevant! That one of these: [Company name redacted], gaining millions in income from MOD (soldiers pay for food! ), NHS, MOJ (prisoners do not pay for food!) in cooking, cleaning, won under EU procurement rules which continue after March 2019. At 2018 [Company name redacted] AGM the resolution was to continue incidental contributions to political parties and this carried by 95.91%, but wording changed on voting results page to `EU political donations`! Mr Nicholas Soames MP, in former Ministerial life, contracted out many back office MOD functions who declared his remain position and whose brother runs [Company name redacted] whose turnover heavily dependent on contracted out back office functions here and in EU! Yesterday in Parliament Theresa May once again criticised the US President, following on from the condemnations issued in EU capitals and in Brussels. The cause of the criticism this time was the state of affairs at the USA’s southern border, where the children of illegal migrants have been detained and held apart from their parents. 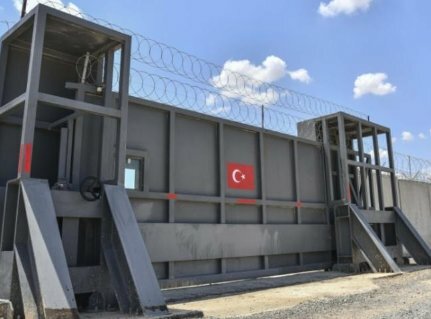 In the past three years Turkey – with the EU’s financial assistance – has built an enormous security wall covering nearly 500 miles of its southern border. Refugees attempting to flee across the border are now faced with military grade weapons systems and refugees have routinely been fired on, according to numerous reports. The technology includes wide area surveillance, laser destructive fibre-optic detection, surveillance radar for drone detection, jammers, and sensor-triggered lighting systems. “When the Turkish soldiers opened fire, Ibrahim Khaled took his mother's hand and ran. He recalls hearing the rattling of the machine guns and the screams of refugees who had been hit by bullets. ‘I thought if I stopped running now, I would be shot or arrested,’ he says. Over the past three years Brexit Facts4EU.Org has monitored the reports of the completion of this wall, and the alleged brutal line Turkey has taken against anyone trying to cross it. This has not been a secret – respected news agency Reuters has covered the project more than once and Human Rights Watch has also given accounts. We have spent far, far more time in the continent of Europe than has our Prime Minister. We have gone to countries like Hungary when it suffered a massive influx of migrants and we have interviewed ordinary people about its effects. We have spent time in a wide variety of other countries in the EU. We haven’t visited this border on the flank of the EU’s southern neighbour Turkey. However we’ve been fully aware of the construction of this military-grade wall and of the persistent reports of firing on refugees. Sadly, whilst the BBC has given extensive coverage to President Trump’s proposed wall with the USA's southern neighbour, and to the latest stories about migrant detention centres, it has not found Turkey’s construction of a massive wall topped with razor wire and manned by troops firing live rounds to be of any interest. 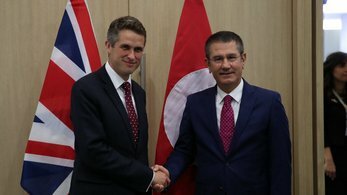 Turkey may not yet be in the EU, but it has been propped up by the EU financially and in March the EU extended the facility – backed by Theresa May’s government. Prime Minister Theresa May and the EU elites have made no pronouncements about the military wall that Turkey has built, despite the billions of euros which the EU (including the UK taxpayer) has thrown at the Turkish government. Let’s face it, the EU needs Turkey on side. Without Turkey holding back the flow of migrants, Greece and the EU member states north would once again be flooded. As it is, last year Italy became the country facing a huge surge in migrants, who crossed from North Africa. This year it’s Spain’s turn to see a big jump in numbers. We do not claim to be experts in migration issues, we merely report the results of our research. However when it comes to the British Prime Minister repeatedly making statements criticising the UK’s no.1 ally, we feel obliged to point out some of the hypocrisy exhibited by Remainers such as Mrs May. She is not alone in this. Frau Merkel, Monsieur Macron and other EU leaders have been equally hypocritical. Nevertheless, we’re supposed to be leaving this quagmire behind. It’s time the PM started showing that the UK will have its own foreign policy post-Brexit. And that overall policy needs to be re-evaluated in the light of the people’s decision to leave the EU. NOTE: There are many reasons why Turkey felt it necessary to construct such a wall and this is one of the NATO Alliance's southern flanks. We focus on Brexit and the EU so it is not appropriate to go into all these issues here. However the contrast between the treatment by Mrs May and the EU of other leaders such as Donald Trump with what is happening on the EU's doorstep - and indeed in countries within the EU - is quite stark. We just thought you would find this interesting. If you’re thinking about helping us in the fight to achieve a full, clean Brexit, you won’t be added to a mailing list, you will simply receive a heartfelt thank you. You can use your credit card or Paypal and it’s very quick. You could make a one-off donation from £2 to £20,000, (please don't be shy! ), or a regular monthly amount which really helps us to plan our resources. You can cancel a monthly payment at any time. We’re read by MPs, MEPs, peers, ambassadors, journalists, DExEU, Brussels bureaucrats, and the public. We research, we write important factual articles, and we lobby politicians. Our work matters and it makes a difference. To read earlier items from our output this month, simply click here.